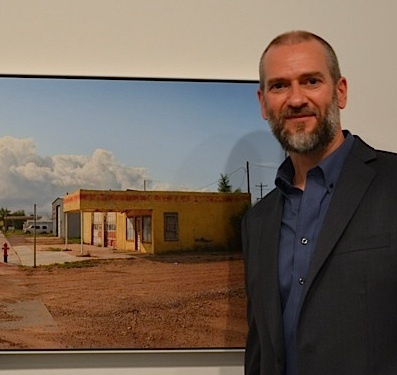 Rod Penner, a Texas-based photorealist, is currently showing a selection of his painstakingly crafted paintings of small town Texas at Ameringer | McEnery | Yohe in New York. 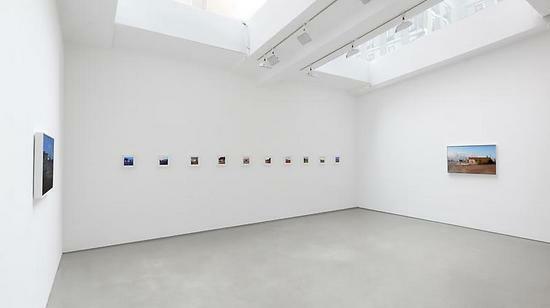 The exhibition -- which New York Magazine hailed as "superb" -- includes a suite of six inch square paintings that feature bravura depictions of tire stores, muddy roads and rutted asphalt. I recently interviewed Rod via e-mail and found his responses to be just like his paintings: direct, clear and unmistakably strong. Rod Penner Rod you paint Texas subject matter and show in New York. How have New Yorkers responded to your visions of Texas? Viewers connect to the work because the paintings are not just about a specific place but are also rooted in memory. 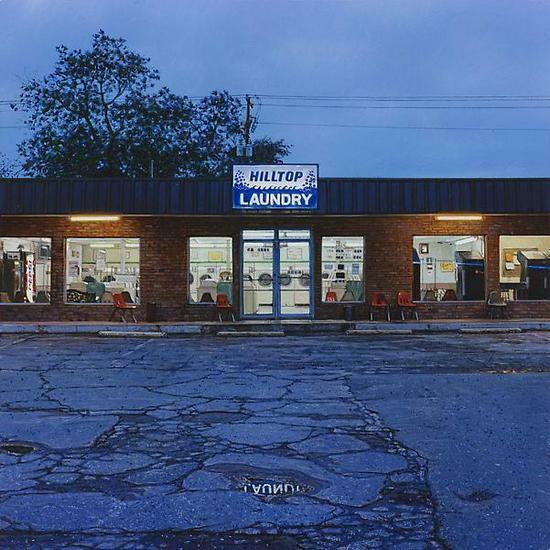 Hilltop Laundry, 2012, Acrylic on panel, 6 x 6 inches Many of your paintings are in a tiny six inch square format: how and why do you like to work so small? I've painted large and now I want to paint small. It's a new challenge. The inspiration for these 6 x 6 inch square paintings comes from many sources; 17th century Dutch painting, the poetry of William Carlos Williams, and my own small works collection to name a few. I liken these works to poems or meditations. 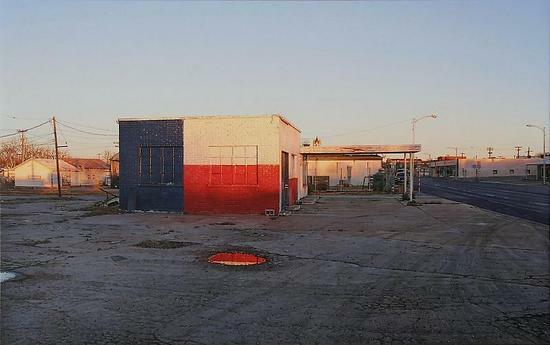 Red, White, and Blue Station / Brady, TX, 2013, Acrylic on canvas, 10 x 16 inches Does your work have any kind of political or social content, or is it simply a matter of "what you see is what you get" realism? You won't find any hidden or overt socio-political meaning in my work and at the same time I hope that by utilizing what I find in the American landscape I'm able to connect to viewers on a deeper psychological level. 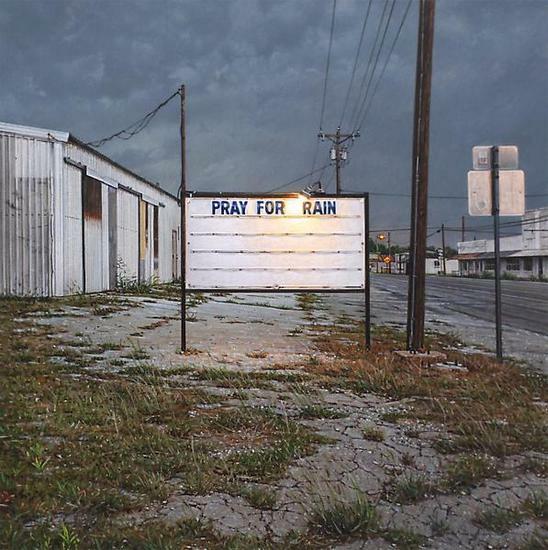 Pray for Rain, 2013, Acrylic on panel, 6 x 6 inches Photorealism is often dis-regarded as being all about technique. How do you respond to that kind of criticism? It's an accurate assessment for a lot of art produced today. My paintings are based on my surroundings and observations and I hope they transcend technique. Hyperrealist paintings that don't reveal something of the human condition leave me cold. 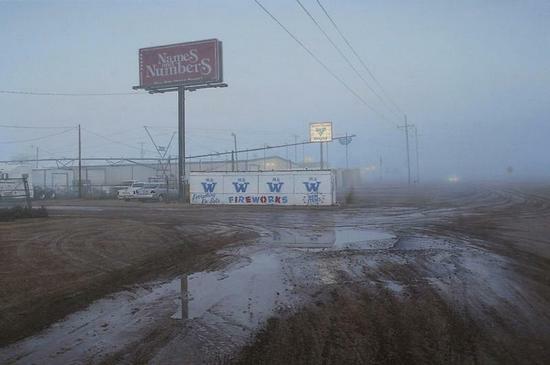 Mr. W / Lubbock, TX, 2013, 12 x 18 inches In your painting Mr. W / Lubbock, Texas you have achieved some remarkable atmosphere. Is it fair to say that paintings like this are edging towards abstraction? Yes. This painting was influenced in part by the work of John Zurier. I'm also a big fan of Frederick Hammersley's geometric paintings, the winter scenes of tonalist Bruce Crane, and anything pre 1900 from John Francis Murphy. I am consciously trying to simplify certain compositions while infusing elements of abstraction and tonalism. 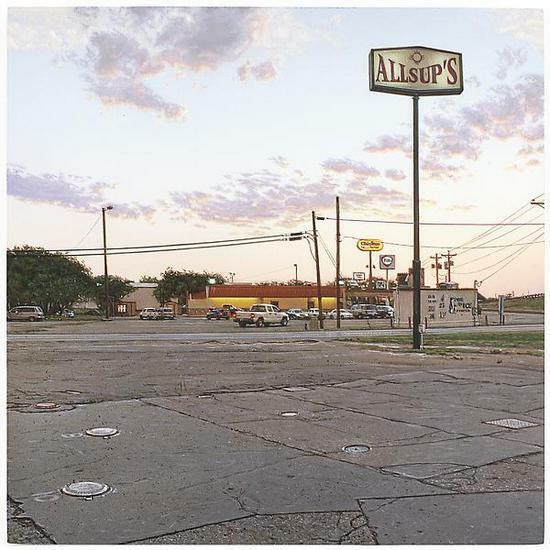 Allsup's, 2013, Acrylic on panel, 6 x 6 inches What do you want visitors to your exhibition to experience when they see your show? I want them to have a spiritual experience. Or at the very least, a newfound awareness and appreciation of their surroundings. 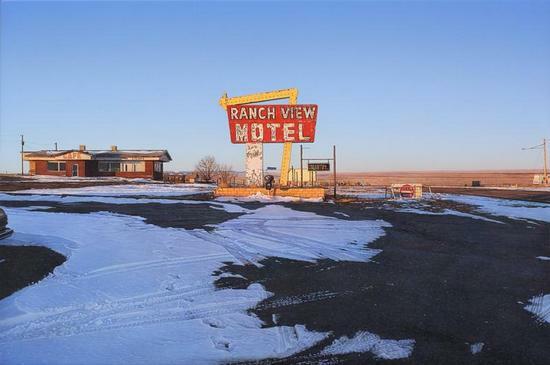 Ranch View Motel / Vaughn, NM, 2013, Acrylic on canvas, 12 x 18 inches Rod, I know that you also collect paintings: tell me something about your collection. It's very eclectic; ranging from a 7 x 7 foot canvas by contemporary artist Andy Piedilato down to a 4 x 6 inch study by Richard Estes. A drawing, dating back to 17th century Italy, hangs in our den next to a small 19th century painting by Spanish artist Eduardo Zamacois y Zabala. Scattered throughout our walls are a few modest Hudson River School paintings, including works by A. T. Bricher and Samuel Lancaster Gerry. Most of our collection has come to us by way of trades and auctions. If money was no object, I'd be scooping up works by Ralph Albert Blakelock and John Francis Murphy.